Most sports have one game that everyone is going to watch but there is one exception for sports fans. That exception is the NFL playoffs. Millions of people sat around having family time watching a double-header of championship games to decide who heads to Superbowl LIII in Atlanta, Georgia. The game pairing the New England Patriots and the LA Rams had fans all around the globe at the edge of their seats, jumping up and down, rooting for their teams but, only towards the end. Forty-one-year-old Tom Brady led the Patriots under center for the team, attempting to reach the Super Bowl for three straight years. On the other side of the field, under center for the Kansas City Chiefs was 23-year-old Tyler, Texas native Patrick Mahomes. The crowd inside Arrowhead Stadium was loud, proud and, confident that the young Mahomes would lead the journey to Atlanta. Mahomes was supposed to be the next AFC Champion, however, Brady had other plans. In the first half of the contest, it was all New England who controlled the momentum and jumped out to a 14-0 lead. The Patriots looked like they were on the fast track to yet another title. They completely controlled the first half with a defensive plan that worked to near perfection. The Chiefs went into the locker room with 32 total yards on offense. They could not find a rhythm and were just unable to move the ball. The Patrick Mahomes train came raging out of the locker room in the third. Mahomes quickly derailed the Brady train and on a 3rd and two, a long 54-yard pass to Sammy Watkins. Mahomes then decided it was time to connect with a second weapon, Travis Kelce for a 12-yard touchdown pass. New England did not back down Stephen Gostowski added a field goal to put the team up by ten. The question I instantly had was is Mahomes going to be able to respond? Boy oh boy, did he respond in a way I never thought would happen. If anyone can do it, Mahomes is the man to call on. He called a jet for Damien Williams, he stayed inbounds and, the signal goes up touchdown Kansas City! We now had ourselves a 17-14 ballgame in favor of Brady and the Pats. After a punt, the Chiefs would get the ball back on an interception by Daniel Sorenson and KC had the ball on the New England 23. Two plays later, Williams caught another touchdown pass and the Chiefs had their first lead of the game, 21-17. They had come back to make it a game. With 2:03 left in the game, Williams would get his third touchdown when he ran in from two yards out to make it 28-24 KC. All KC had to do was stop the Pats and they would head to the Super Bowl. Well, that is much easier said than done when we are talking about the greatest quarterback of all time in Brady. With 1:57 on the clock, the Pats began what would be their biggest drive of the game. Brady and company went to work from their 35 and on first down, Brady hit Julian Edelman for 20 yards and into KC territory. On third and 10 from the KC 34, Brady dropped back and threw what should have been his second interception of the game. That was it. The Chiefs were headed to the Super Bowl, but wait. A flag had been thrown and the replay showed that LB Dee Ford was lined up in the neutral zone for an offside call. What was supposed to be the crowning of Mahomes, would be what we have come to expect. Brady wasted no time and made the Chiefs pay when he hit Rex Burkhead for the go-ahead touchdown. 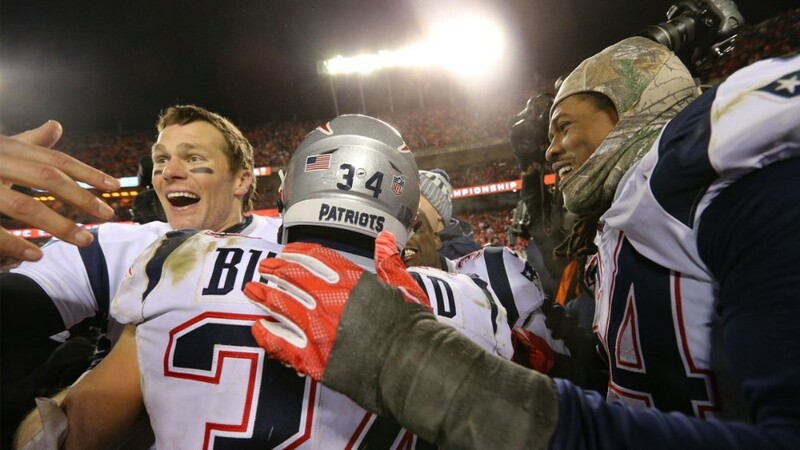 It was Pats 31 KC 28 with 39 seconds left in the game. But Mahomes was not done. He would move his team down to the New England 21 in just over 20 seconds and Harrison Butker sent the game to OT with a 39-yard field goal. The problem would be the coin toss since league rules state that the team that gets the ball first wins with a touchdown. How many of you thought Brady would not will his team to the endzone once the Pats won the toss? No, not too many of you. With the win, Brady and Bill Belichick head to their ninth Super Bowl together. They will meet the Los Angeles Rams and the winner will be crowned champions of the pro football world. The two teams will meet Sunday, February 3rd in Atlanta, Ga. Kickoff is set for just after 530pm est.